Commercial availability of LTE-Advanced wireless service is now a reality, at least in some parts of the world. Just days ago, the upgraded Samsung Galaxy S4 model, with Snapdragon 800 SoC and LTE-A support, was announced for SK Telecom in Korea. The smartphone is theoretically capable of hitting 150Mbps download speeds, which is crazy fast no matter how we look at it. Yet the carrier wants to have as many as seven LTE-Advanced devices running on its network, and one of them might be the rumored Apple iPhone 5S. According to sources familiar with the carrier's operations, SK Telecom has initiated talks with Apple about producing an iPhone compatible with its LTE-A infrastructure. Whether the deal has been sealed or not is not clear at this time. All we know is that the two parties are "in the middle of negotiations". 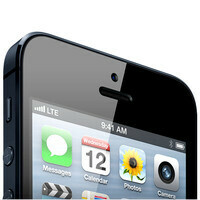 “There's no reason for Apple not to use the LTE-A technology,” the source added. LTE-Advanced is not only faster in terms of data transfer speeds, but also capable of distributing that data more efficiently. One of the many advantages of LTE-A over previous technologies is that it supports carrier aggregation, which increases network speeds and improves latency by combining the radio channels of two mobile operators within the same frequency band or across different bands. Other rumors related to the iPhone 5S have been circulating the web, suggesting that the smartphone will have a larger battery and a dual-LED flash, but will not introduce any changes in terms of external design. The device is expected to arrive later in 2013 alongside a cheaper, colorful iPhone model. Well the early LTE radios were battery hogs, just look at the HTC Thunderbolt. Now they're drastically better, and plus coverage can be expected in all major areas. LTE-A hasn't even begun a roll-out in the US, and even then only Verizon is ready to get it started. LTE-A would have to roll out to cover major cities at least, and even then, only one carrier would be at that point. It all depends on how fast these carriers wanna get those cells up and running. iPhone 6 with Snapdragon 800. :D P.S. : Not saying only Snapdragon can have LTE-A. no way! apple makes their own crappy processors. Pride, and a terrible battery, will stop them from striking any kind of deal with qualcomm to get the SD or LTE-A. You're welcome. Was just a joke bro! I know they make others to make a processor of their own.